Bello! Can’t believe my lil girl is 3 already. 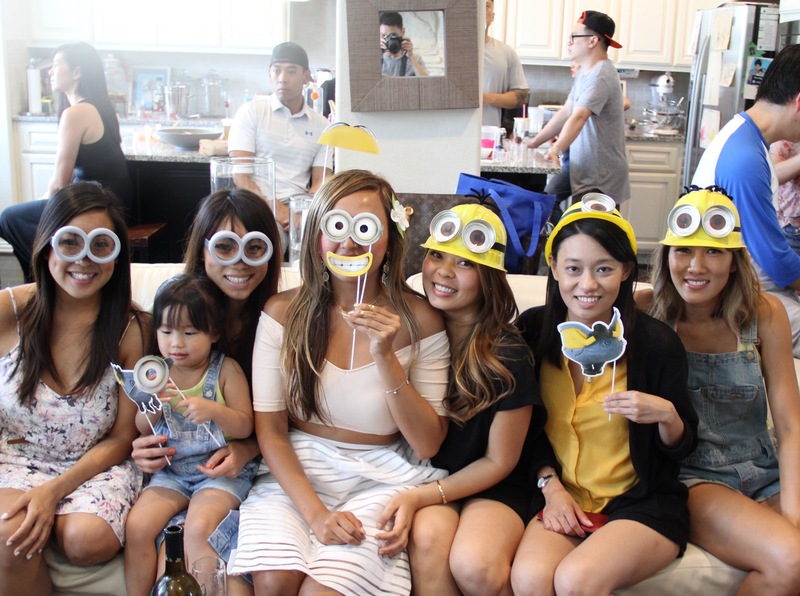 Knowing her mom plans parties for others, you can bet she demanded a party for her birthday. Initially, I wanted to send cupcakes to her school and call it a day but she wasn’t havin it. 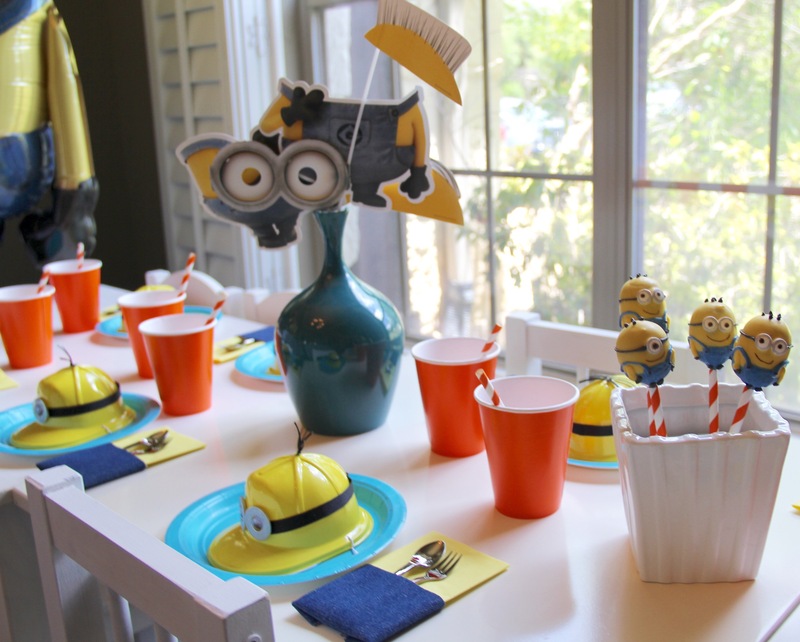 She specifically said, “I want party at home and table”. It was worth a shot. 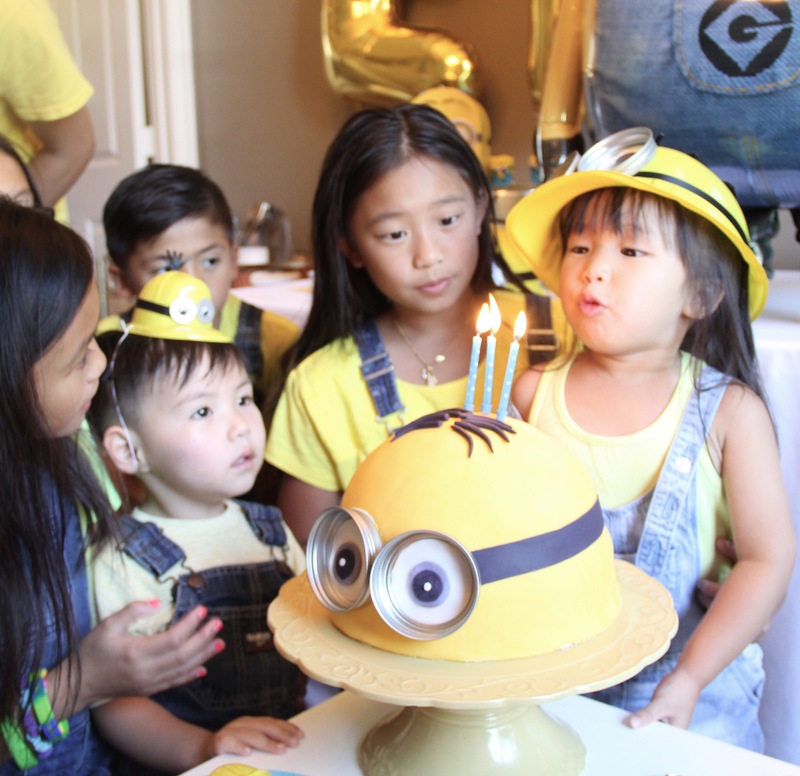 She decided on the minion theme two weeks before her birthday. 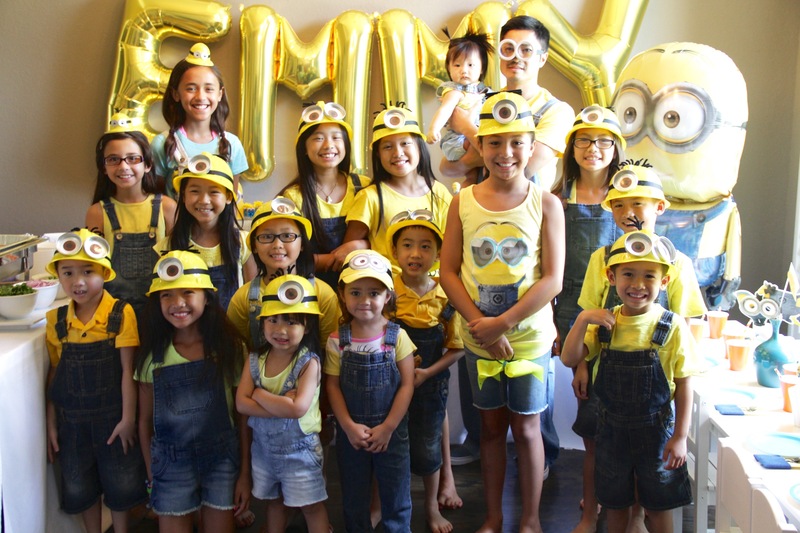 Having never seen Despicable Me, I didn’t know much about minions. 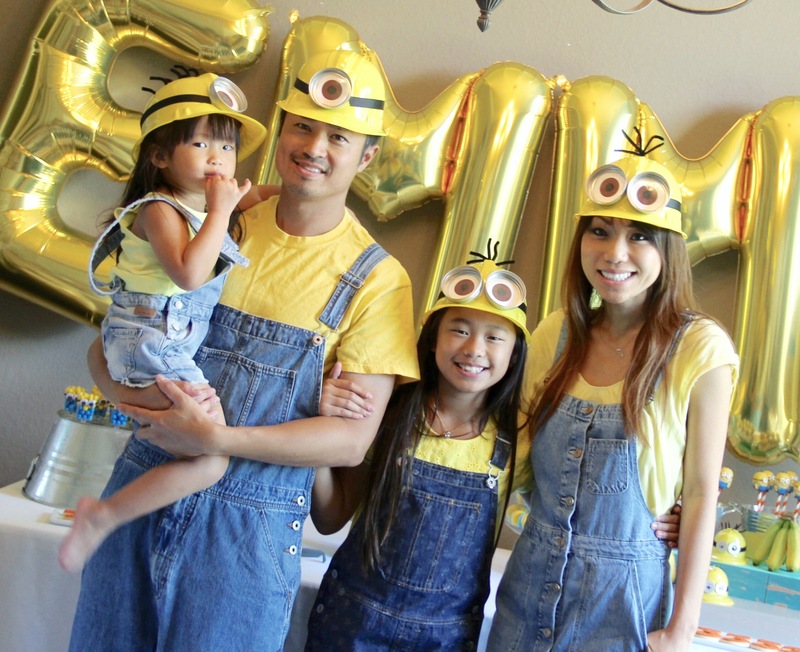 We took her to see the Minion movie on opening day which happened to be her actual birthday. 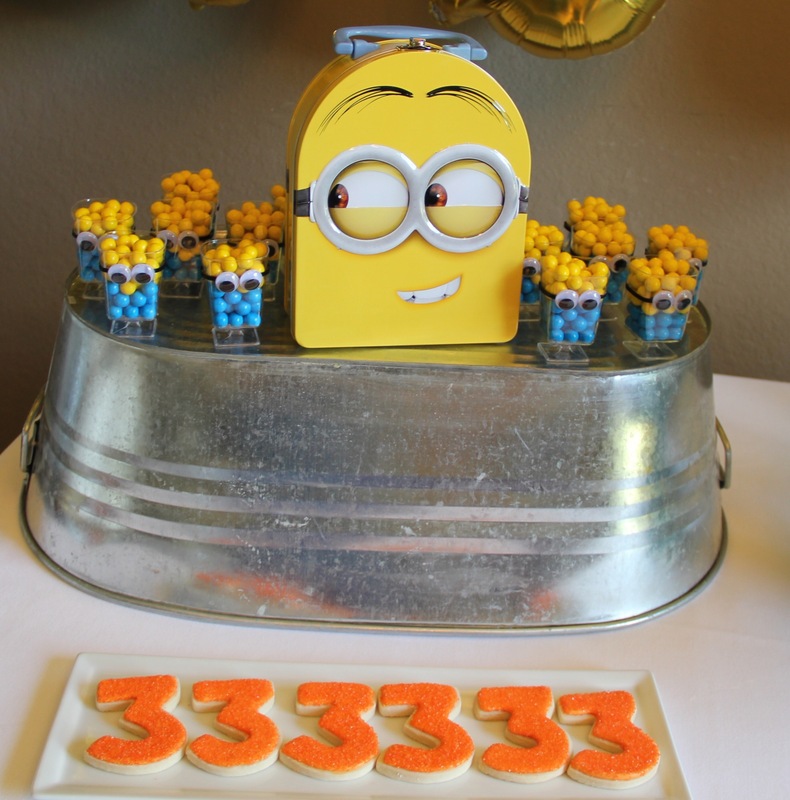 My goodness, those lil fellas are so. darn. cute. And remind me of Emmy! Totally fitting theme for her spunky personality. 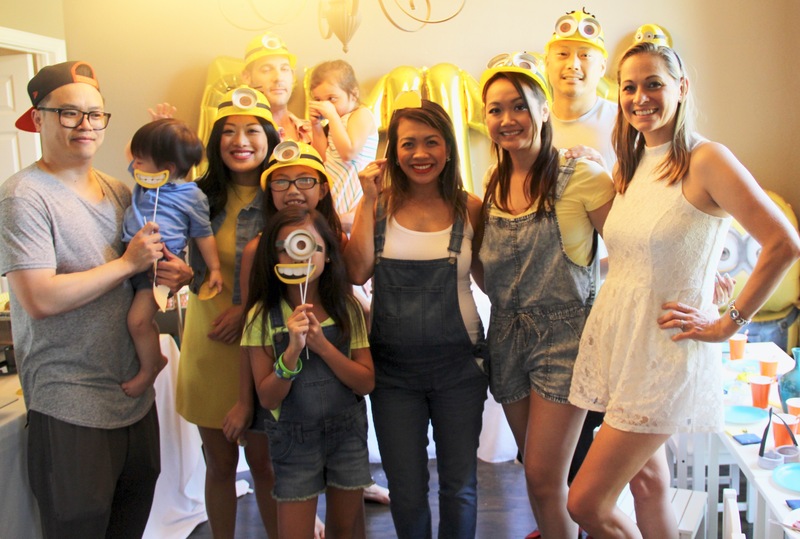 This was such a fun party to plan.. Emmy was super excited and had a great time celebrating with close friends and family. 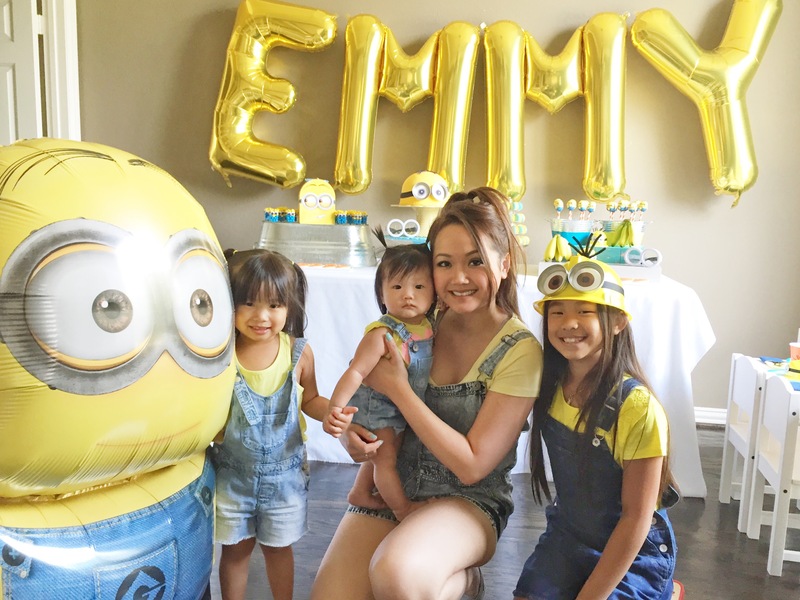 Emmy + her “best friend” The most adorable bunch of minions! 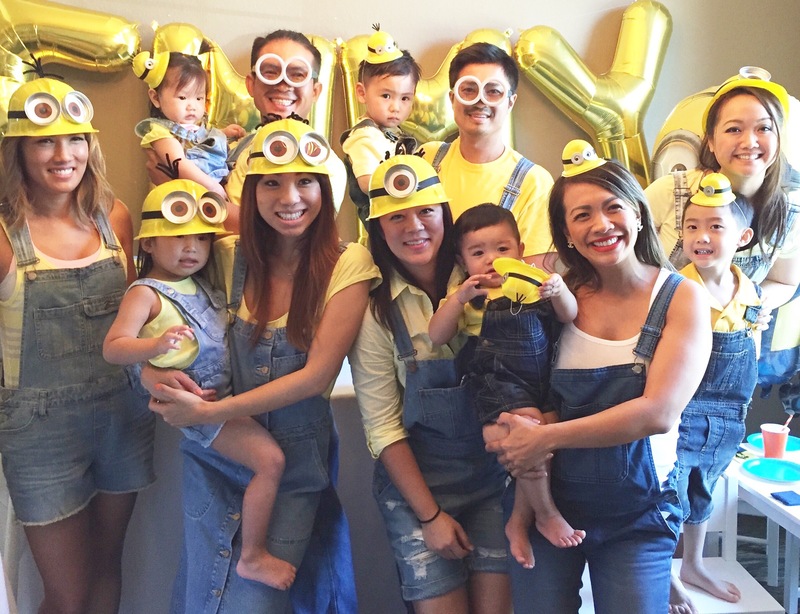 💛 Love them (and their parents for dressing ’em). Look at birthday girl with her arms crossed. 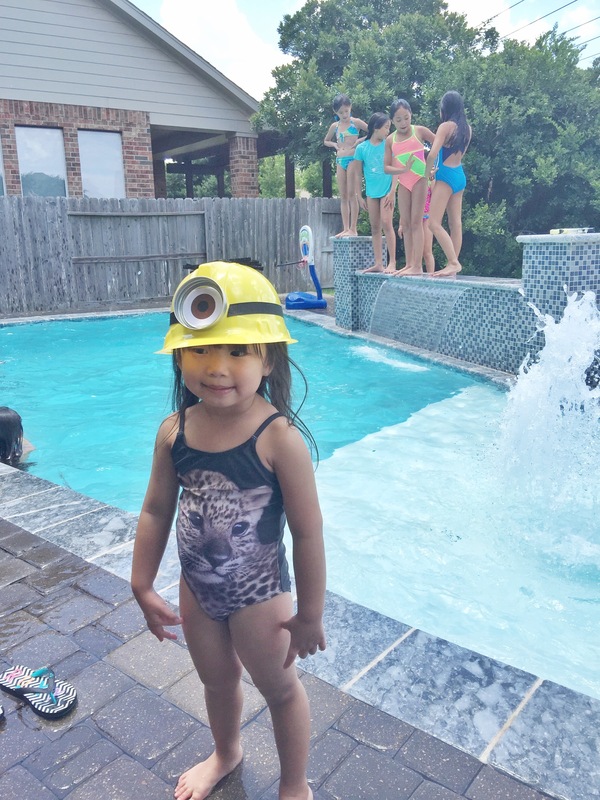 She’s somethin else, yall. 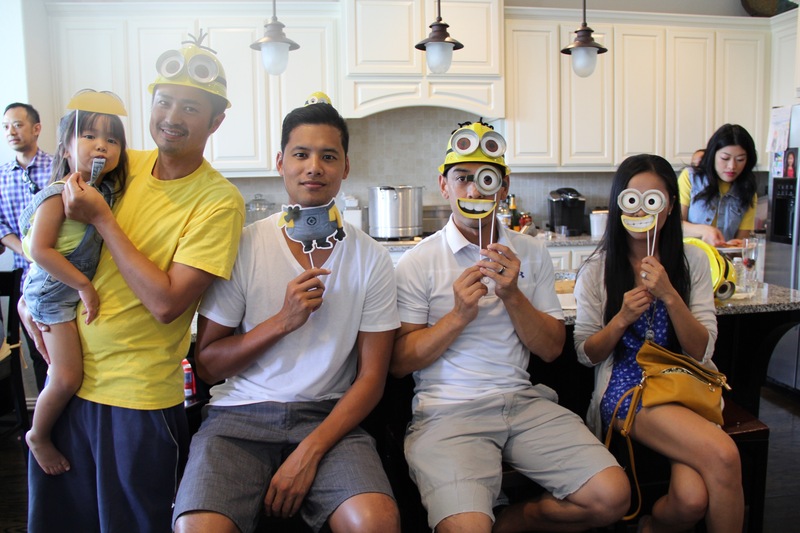 Love these minions too! Appreciate this so much, thank you guys! 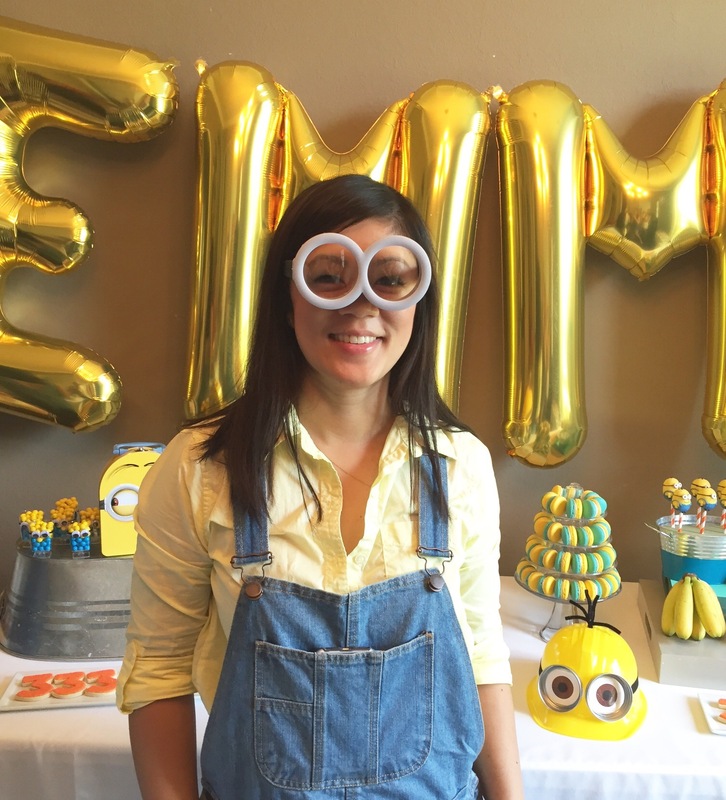 The lettered balloons in her name served as a back drop for the dessert bar. 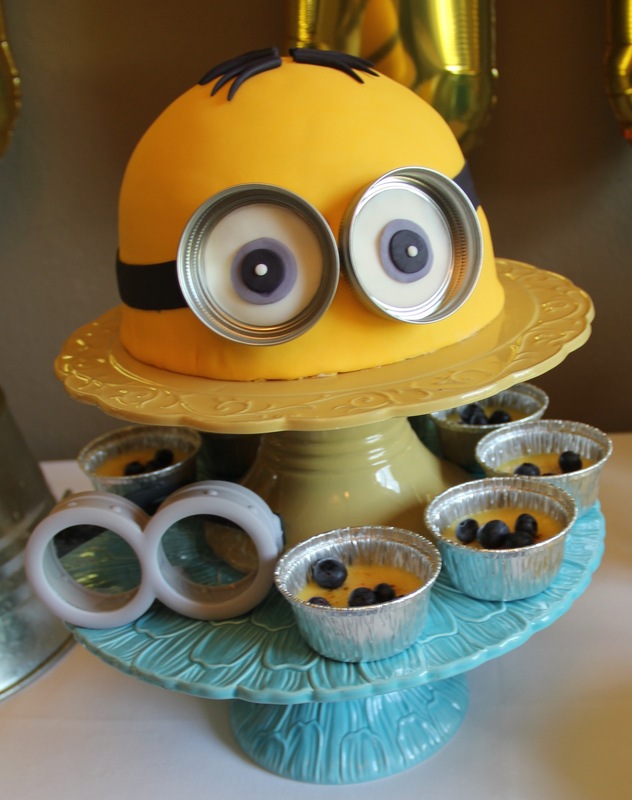 Minion cake by JEM. 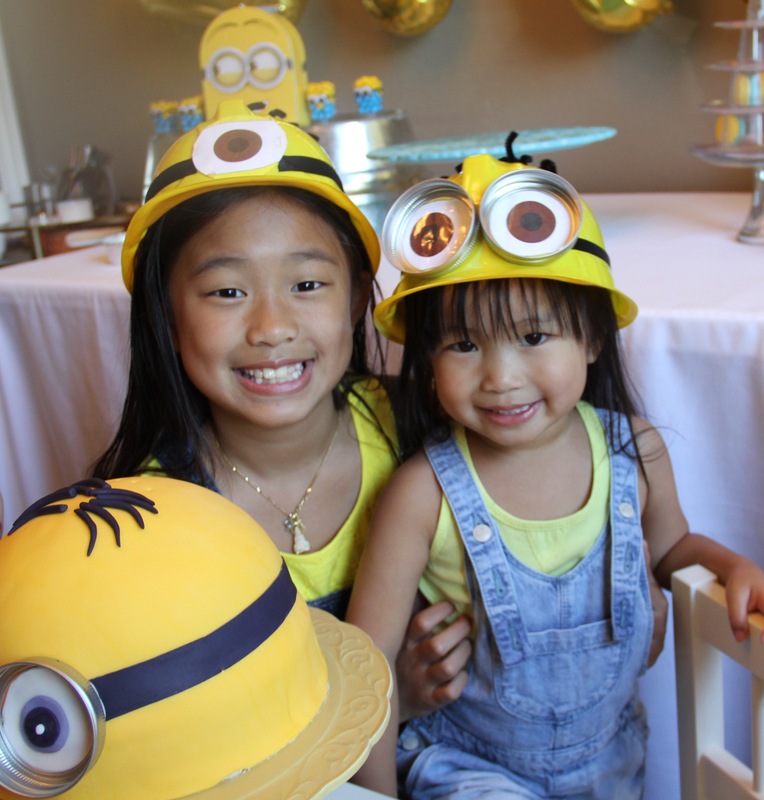 Design inspired by the minion hats. Flavor: Lemon w/ cream cheese frosting. Two toned macarons by Macaron Melange. Flavor: Vanilla bean w/ cream cheese filling. 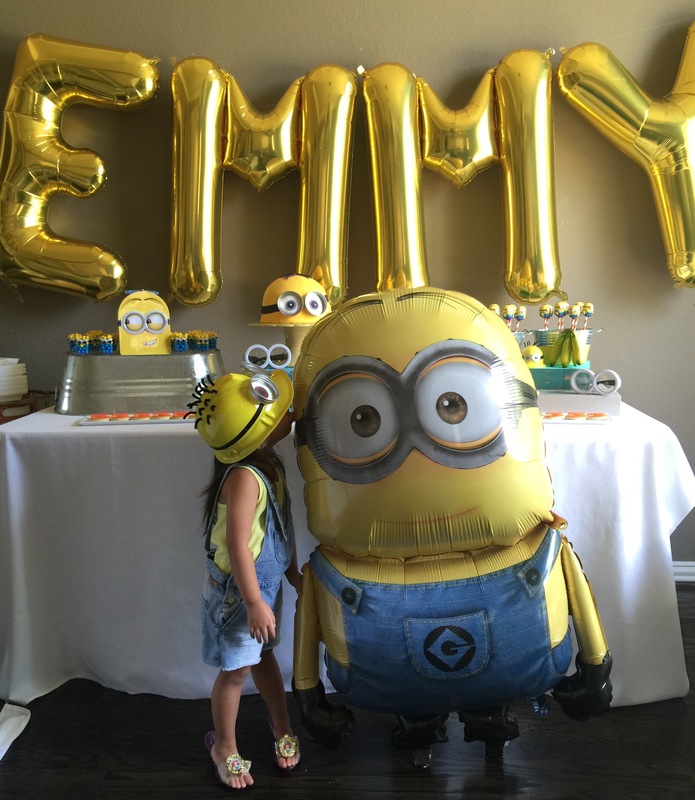 Emmy turned 3! Shortbread cookies by JEM. 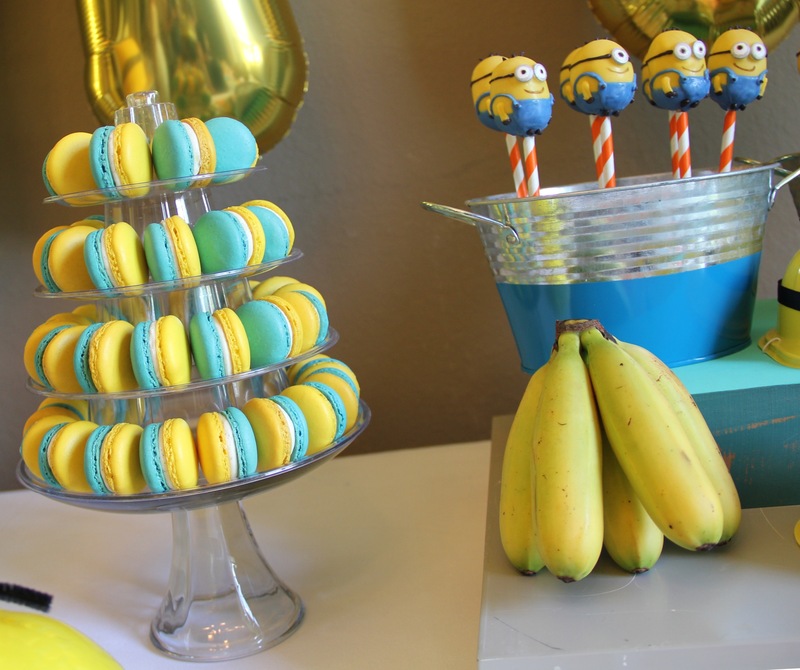 Mini(on) cups filled with yellow + blue chocolate pearls. 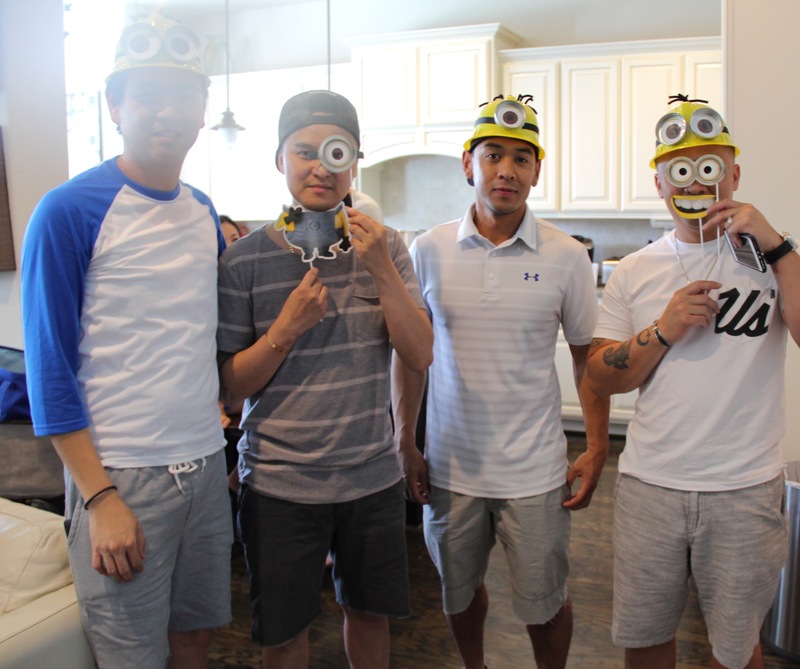 Omgosh, Cristine did such an awesome job on these minion pops! 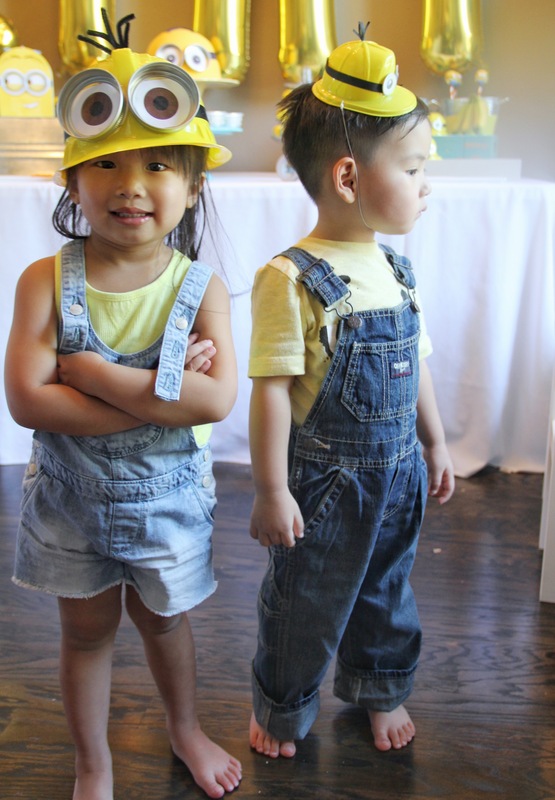 So so cute!!! Flavor: red velvet. 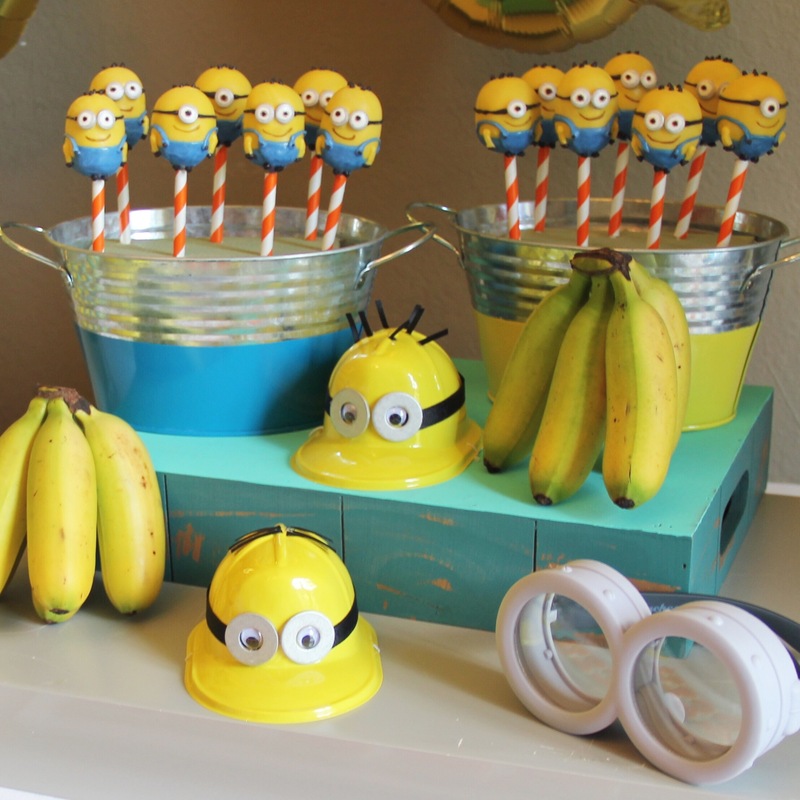 Oh, for those unfamiliar with minions, they LOVE bananas. The kiddy table! 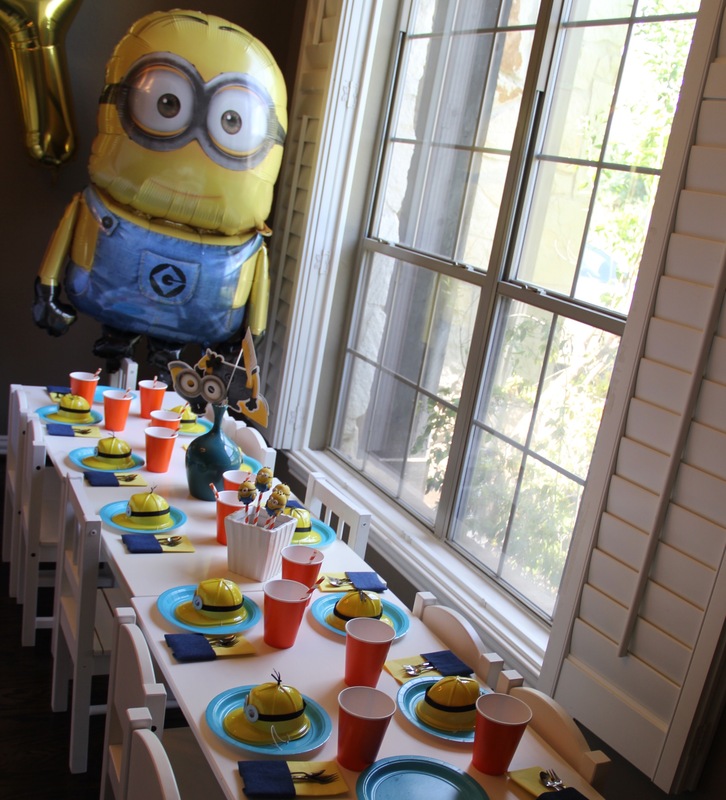 To keep with the theme, we incorporated denim into the place settings. 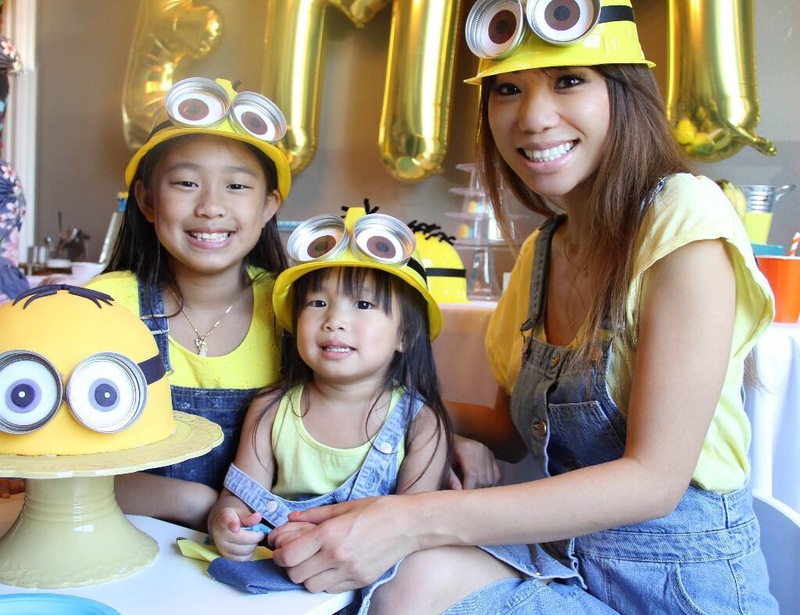 Minion hats designed and handcrafted by JEM. We’re all about the deets! 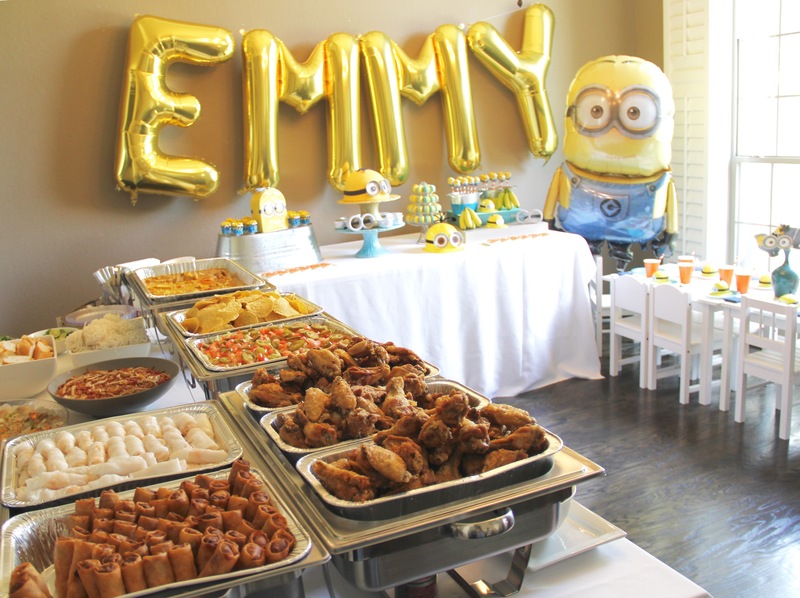 Emmy set this table herself two nights prior to the party and kept everything in tact for her big day. The buffet. 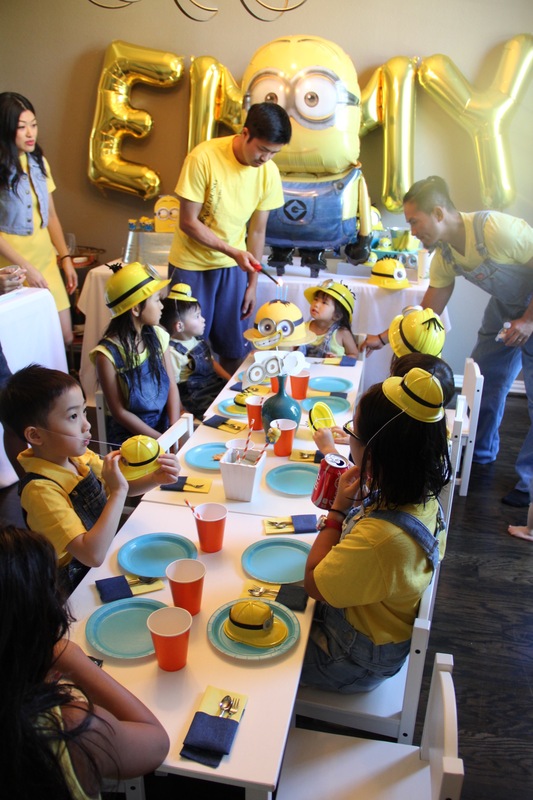 Menu consisted of wings, pizza and nachos for the lil minions along with some Viet dishes for the bigger minions. 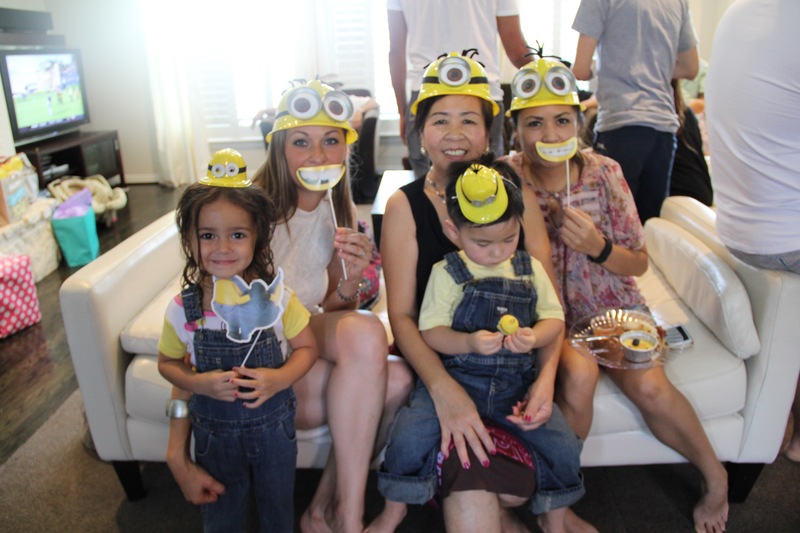 Love our family + friends. 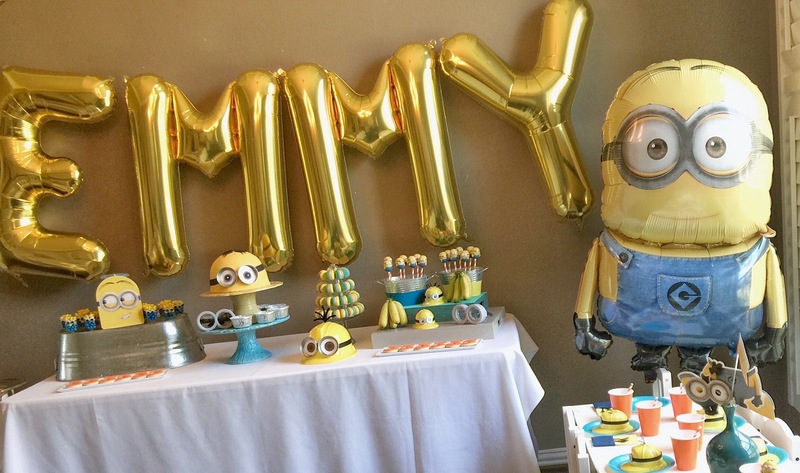 Thanks to everyone who came out to celebrate with Emmy. You made her day! 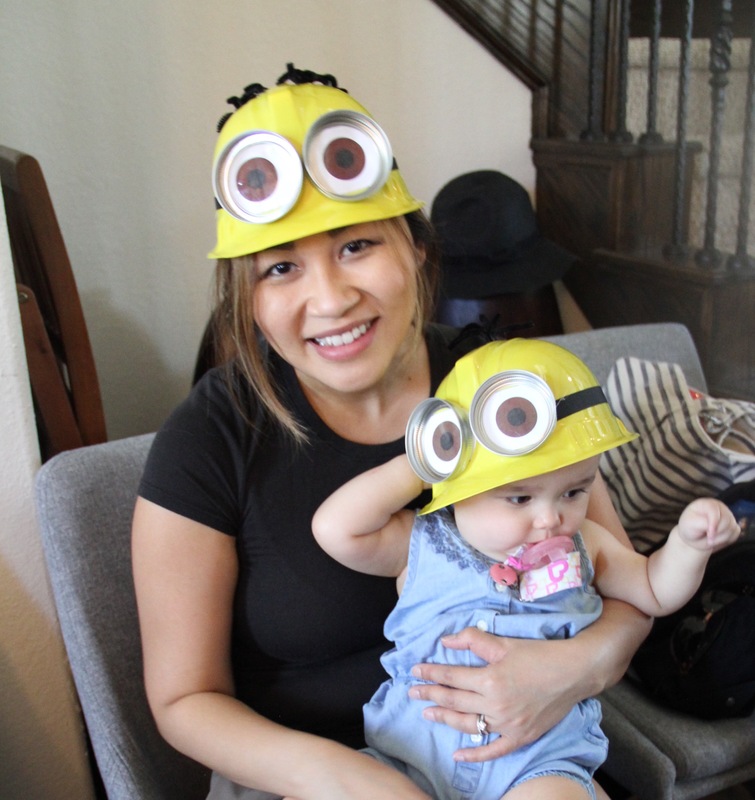 Like mother like daughters. Grateful to have found my calling doing what I love, for them. 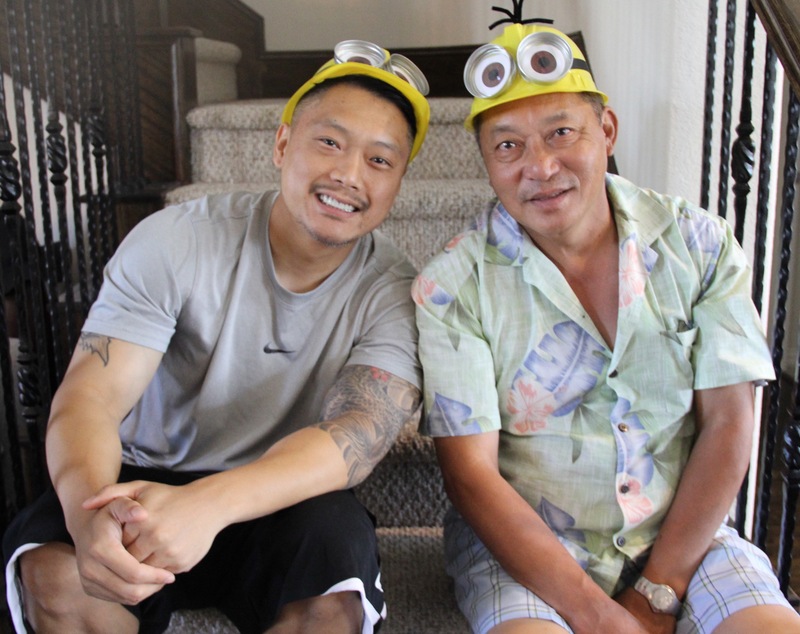 Uncle John blended right in with the kiddos. JEM w/ baby Tory + Chi My. Btw, that’s Mindy she makes the famous curry. Cake time! She’d been looking forward to that moment foreverr. She wished for playdoh and more playdoh. Wish was granted. 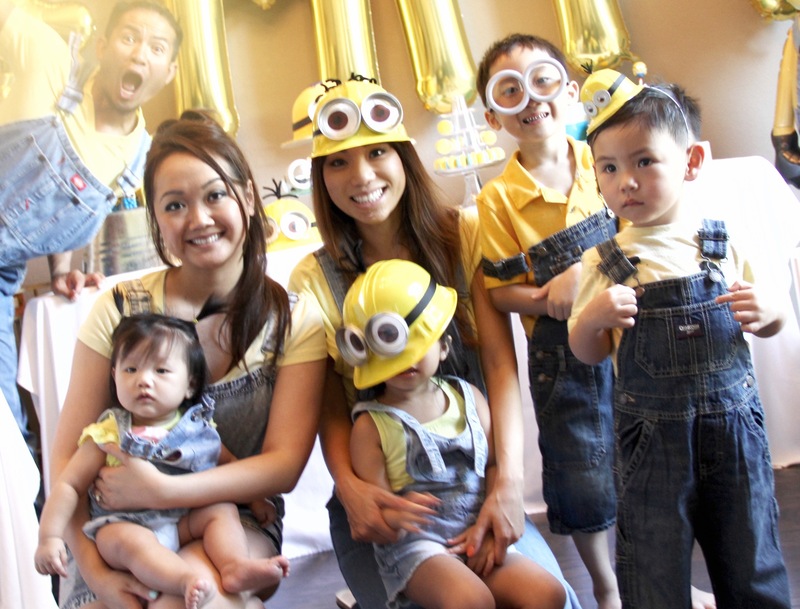 Happy 3rd, my lil one in a minion. You were the best surprise ever! 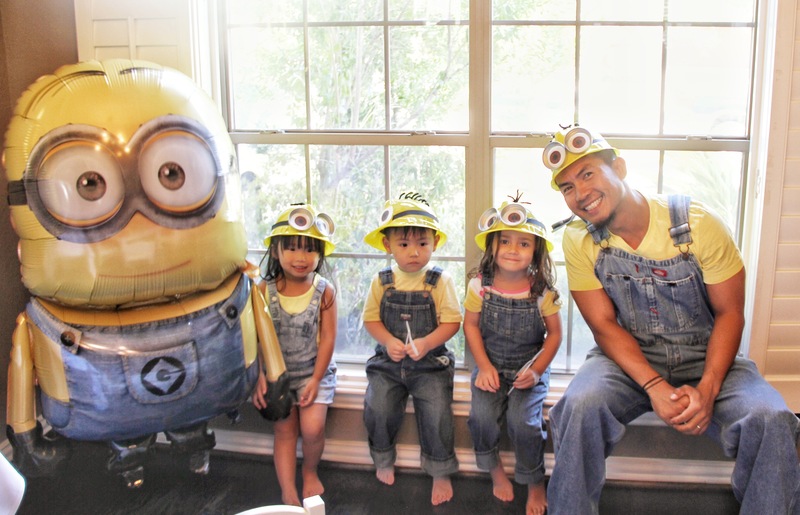 And these minions lived happily ever after. The End. Hi Aidi, the hats were handmade. I do have some extra for sale if you’re interested. 6 large and 8 minis for $45 plus shipping.